What kind of theological education would best prepare men and women to discern the mind of Christ in this kind of diverse, pluralistic, heterogeneous environment? What are the virtues, attitudes, and practices that would facilitate the vision of those who wish to engage the manifold ministries of Christ in the third millennium? Are there any theological hints about how to best think of the pedagogical task in the ministerial setting? Paul’s christological hymn in the second chapter of Philippians follows a curious order of discussion. Contrary to the typical post-Enlightenment “from theory to practice” intuition—which, indeed, is here and there evident in the Pauline correspondence, such as in the structure of Romans 1–11 (teaching) and 12–16 (exhortation)—the apostle first lists virtues and practices that embody a Christlike lifestyle of the faithful: unity, love, compassion, selflessness, humility, and so on. Only thereafter does he lift up Jesus Christ’s kenosis and sacrifice as the theological template. Obviously, the mind of Christ (v. 5), standing in the middle of the passage, has to do with both ends, so to speak: teaching and exhortation, belief and lifestyle, theory and practice. Let us imagine a diverse, dynamic, and multifarious vision of theological education in service of a similar ethos of ministry in our pluralistic world. In a highly acclaimed and programmatic work titled Between Athens and Berlin: The Theological Debate,3 David H. Kelsey of Yale University outlines the underlying epistemology and theology of theological education using two cities as paradigms. “Athens” refers to the goals and methods of theological education that are derived from classical Greek philosophical educational methodology, paideia. The early church adopted and adapted this model. The primary goal of this form of education is the transformation of the individual. It is about character formation and learning—the ultimate goal of which is the knowledge of God rather than merely knowing about God. Being crafted, as it were, into the daily following of Christ, rather than mere book wisdom, was the goal of Christian adaptation of the “Athens” originally secular pedagogical vision. Personal development and spiritual formation stood at the forefront. The second pole of Kelsey’s typology, “Berlin,” is based on the Enlightenment epistemology and ideals, which of course remind us of the (German) Enlightenment’s radically different vision. Whereas the classical model of “Athens” accepted the sacred texts as revelation containing the wisdom of God and not simply knowledge about God, in the “Berlin” model, critical reasoning and rational enquiry reign. The ultimate goal of theological training is no longer personal formation based on the study of authoritative texts. Rather, it aims at training people in intellectual affairs. Are we left with these two models of paideia? Are they enough to equip theological students for the pluralistic world? Hardly. Elsewhere I have suggested that two other models could be added to the menu. Former Fuller faculty member Robert Banks’s “Jerusalem” model refers to the missionary impulse of the Christian church in its desire to spread the gospel from Jerusalem to the ends of the earth (Acts 1:8). In an important work titled Revisioning Theological Education, Banks argues that if Martin Kähler’s classic dictum “Mission is the Mother of Theology” is true, it means theology should be missional in orientation. The ultimate goal and context of theological education should thus be missional, which, at the end of the day, fosters and energizes the church’s mission. It is, however, more than what is usually taken as “missiological” education as in the training of foreign missionaries: It is about theological education building the “foundation,” which is the mission of the church in all aspects of the church’s life and work. It is nothing less than “mission beyond the mission” to quote our own community’s motto. This missional orientation is of course in keeping with the current ecclesiological conviction according to which mission is not just one task given to the church among other tasks such as teaching or children’s work, but that the church is missional by its very nature, and thus, everything the church does derives from its missional nature. As the German Reformed theologian Jürgen Moltmann aptly puts it, a theologian only “merits dialogue” who is convinced of the truthfulness of a certain belief and deems it worth sharing with others. 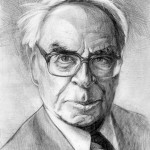 Jürgen Moltmann (1926–) is a German Reformed theologian and professor emeritus of Systematic Theology at the University of Tübingen, Germany. He is most noted as a proponent of his “theology of hope”—based on the view that God suffers with humanity and yet promises hope through the resurrection. He has greatly influenced a number of areas of theology, primarily liberation theology. 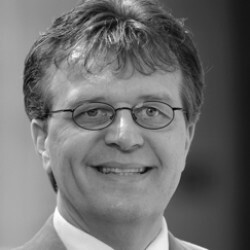 Only the minister who is well established in his or her own tradition can learn how best to navigate a religiously plural and diverse environment—particularly when the rootage in tradition takes place in a community of faith that embraces the tradition and also gracefully critiques and revisions it. Personal development, character formation, and Christlike attitudes, cultivated by the patristic Athens model, offer great aid in that lifelong process. It is significant that for the first millennia or so the theologians of the church were bishops, evangelists, pastors, and other church leaders. Their theology emerged from and was shaped by daily practices of the community. To those theologians, the Jerusalem model’s missional orientation was taken for granted. Liturgy, worship, prayer life, and sharing in spiritual exercises was missionally oriented, particularly before the Christendom establishment arose, but to various degrees also thereafter. Dialogue is a basic way of life because Christians share life and contexts with neighbours of other faiths. This implies that they establish dialogical relations so that there is hope of mutual understanding and fruitful co-existence in multi-religious and pluralistic societies. 1. “Religious Plurality and Christian Self-Understanding,” #2, 3, World Council of Churches Ninth Assembly (Porto Alegre, Brazil, 2006, February 14-23), http://www.oikoumene.org/en/resources/documents/assembly/porto-alegre-2006/3-preparatory-and-background-documents/religious-plurality-and-christian-self-understanding.html. 2. Douglas John Hall, Thinking the Faith (Minneapolis: Fortress, 1991), 209. 3. David H. Kelsey, Between Athens and Berlin: The Theological Debate (Eugene, OR: Wipf and Stock, 2011). 4. Brian Edgar, “The Theology of Theological Education,” Evangelical Review of Theology 29, no. 3 (2005): 211. 5. “Religious Plurality and Christian Self-Understanding,” #27. 7. “Theme Two: Christian Mission among Other Faiths,” in Edinburgh 2010, vol. 2: Witnessing to Christ Today, ed. Daryl Balia and Kirsteen Kim (Oxford, UK: Regnum, 2010), 47.